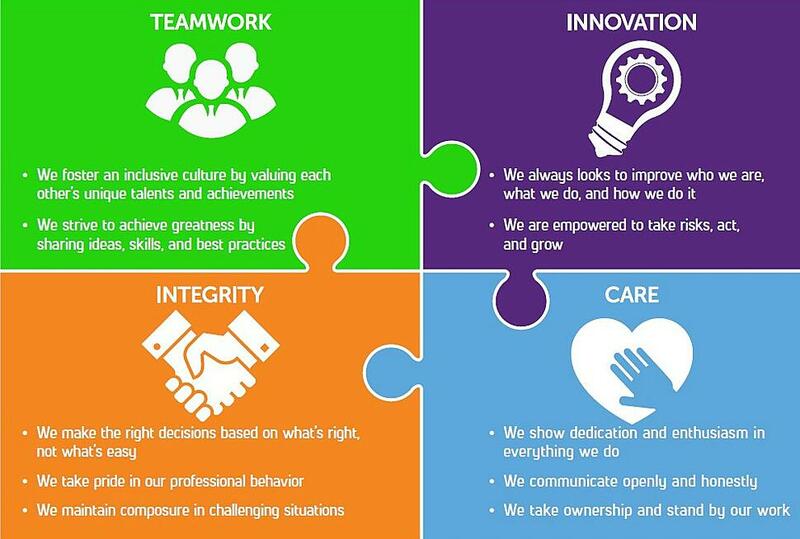 Teamwork, Innovation, Integrity, and Care are the values that govern who we are and set us apart. They are positive reminders of how we treat each other and our clients. We believe that our value as a company not only comes from the services we provide but the people who make our organization great. Everyone on our team plays a vital role. We pride ourselves on finding the best talent, treating them well, and most importantly, giving everyone a challenging yet enjoyable work environment where they can learn, grow, and enjoy a work-life balance. We're currently looking to add a few bright and dedicated people to our team!